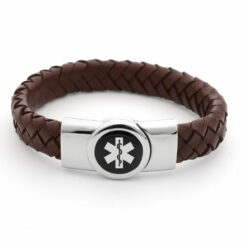 These stylish sports engraved medical alert bracelets are made from a high quality red and black sports rubber and polished surgical grade stainless steel. 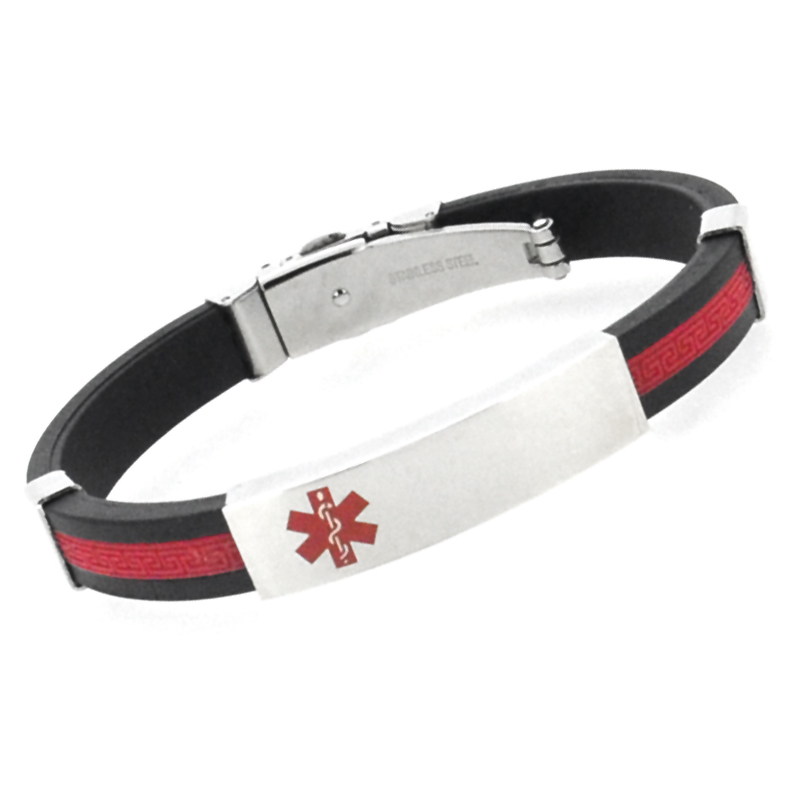 These engraved medical alert bracelets are made with a high quality black and red sports rubber and polished surgical-grade stainless steel Medical ID band. They will fit wrist size approx 7-8 inches. 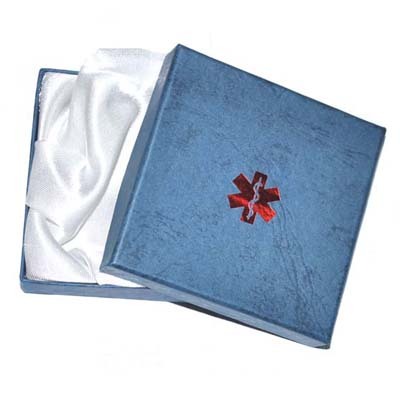 The identity bracelets are provided with a free presentation / gift box. 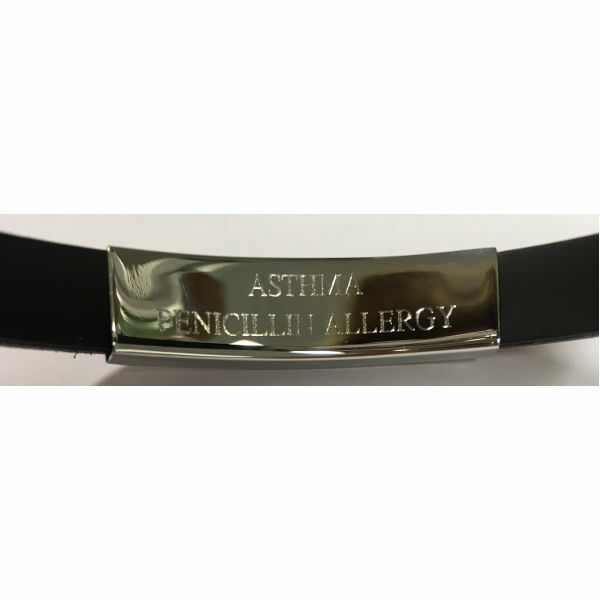 Each medical bracelet includes an engraveable medical ID tag which can be engraved with up to 2 lines of text on the front (20 characters per line) and 2 lines of text on the reverse of the ID tag (25 characters per line). We can engrave the tag with your details or you can purchase without engraving and have your local jeweller / engraver complete the details for you. To have the tag engraved by us, just check the personalisation box and fill in your message in the spaces provided. Black and Red Rubber Medical ID Bracelet. The bracelet is super light and easy to wear .no need to remove during shower .writing is discreet as I had chosen .it was delivered within 5 working days . Bought for 15 year old daughter it wz hugh fitting nice bracelet but after buying I had to bring it to jewellery shop to get it taken in which is not on really after buying it.. website should give sizeable guide to customers..
Hi Ruardhi, I’m sorry that you are not happy with the sizing. We do give sizing guides in the product description. The size of the bracelet and the size of the wrist it will fit. I will look into a way to make this more prominent. Thank you for your review of your bracelet. 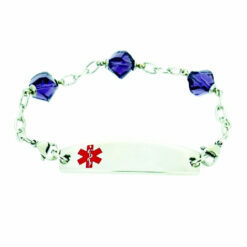 The bracelet is visible and comfortable to wear. 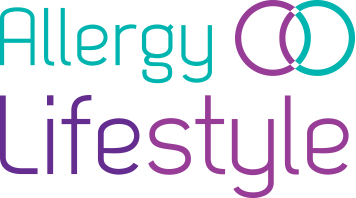 I was initially dissatisfied as it was huge and when I contacted sellers they told me to go to a jewelers. I think that the website should say that buyer will have to resize. Also, the engraved writing is tiny. A preview of what it will look like would avoid disappointment. I’m happy with it now but was annoyed when I got it first. Hi Ashley, I’m sorry that you were unhappy with your bracelet. 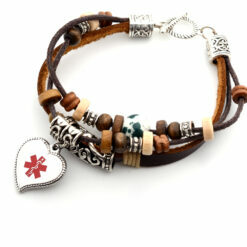 We will add details about resizing bracelets to our product descriptions. I will also look into a way to preview the engraving on the bracelet. At the moment, we set character limits so customers can have the maximum amount of writing on the bracelet while still being visible. I can reduce character limits to make the engraving larger. Thank you for your review. Super beau et bon plastique qui ressemble au cuir. Gravures peu visibles vu geavé pas assez profond? the Bracelet is not as intrusive as I thought it might have been, particularly as I wore nothing like it before. the only issue was it and to be resized. the service and assistance getting it to me was excellent.